This is a powerful, true drama of six women who went to Vietnam. 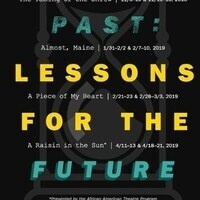 The play portrays each young woman before, during, and after her tour in the war torn jungle and ends as each leaves a personal token at The Wall in Washington. The two-act play follows six women (four nurses, a Red Cross volunteer, and an intelligence officer) before, during, and after the war. Said jumble of characters includes Sissy, a rather naive but sweet girl from Pennsylvania; Whitney, a seemingly prim and proper Vassar graduate with a secret; Martha, an army brat who discovers Vietnam might be more than she bargained for; Steele, an African-American woman who despite being the most capable of the lot seems to always get treated as the Cassandra; Maryjo, a country-rock singer and professional ditz who goes over to entertain the troops; and Leeann, the half-Chinese, half-Italian who just wanted to go to Hawaii, but instead gets routinely mistaken for Vietnamese.